What he discovered (amazingly too, I don't know how he pieced it together!) 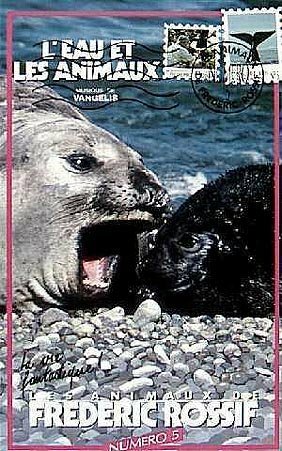 is that some of the music from "L'eau et les Animaux" is not Vangelis at all but an artist by the name of Eric Vann! That information is not on the videocassette. The titles clearly credit Vangelis, but it looks like somebody at Editions Montparnasse decided that for this particular episode, they would use different music. Now clearly, some of the music in this episode is Vangelis. There is a unique version of "Hymne" on this episode for instance. But for the first half hour or so, it appears that it might not be Vangelis at all. 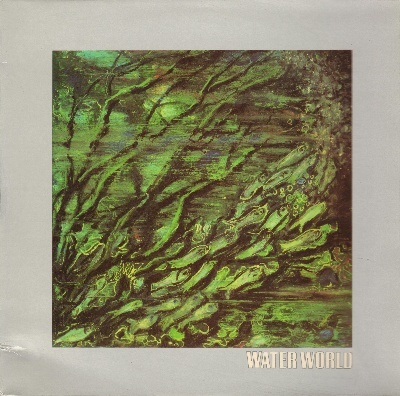 Four of the songs from the Eric Vann LP Water World (Coloursound CS 24) are used in this episode: "Diving", "Dark Deep Sea", "Sunken Galleons" and "Sonar". Vasco believes that other tracks in this episode are probably tracks taken from other Coloursound Library releases. 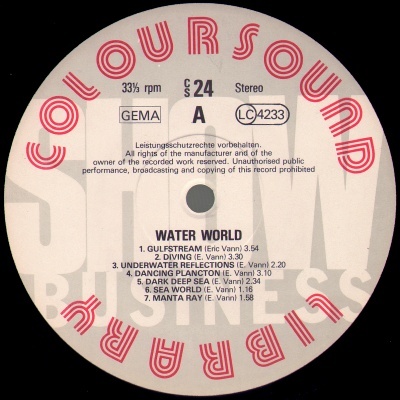 Coloursound Library was a company based out of Munich. I do not know much about Eric Vann. I wonder if he even knows that his music was used for this videocassette! I am disappointed, but even so, I still like the music from this episode! If you have some information that you want to share in this forum, please write to me! I am always happy to talk with other collectors and expand on our knowledge about Vangelis! To read the last issue of The Researcher, just click here!! !